For this shop is we made before , total is about 50sqm , mainly tone is white , green and purple ,looks very nice and simple . 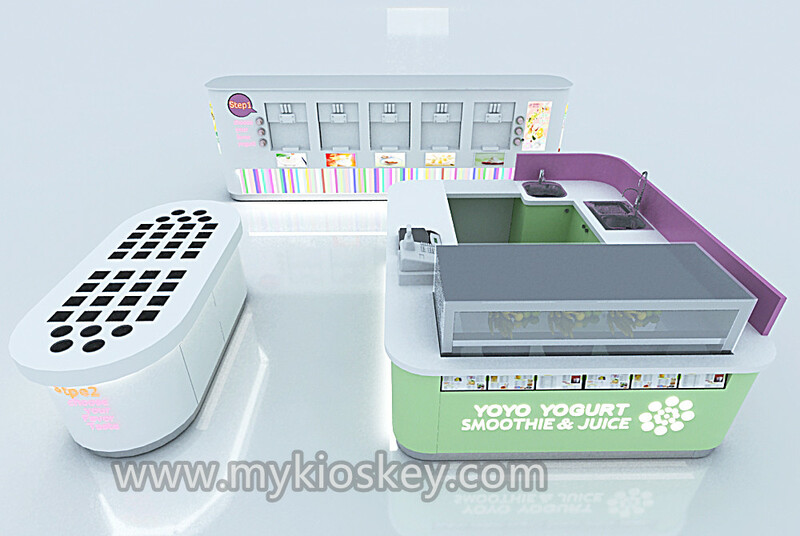 with yogurt kiosk, yogurt stand and topping stand , Customers can choose any yogurt they like . For inside wooden kiosk , is about 3000X2500mm , basic material is plywood, surface is green color laminate ,white man made stone worktop. wooden cabinet with lock for storage . 2. 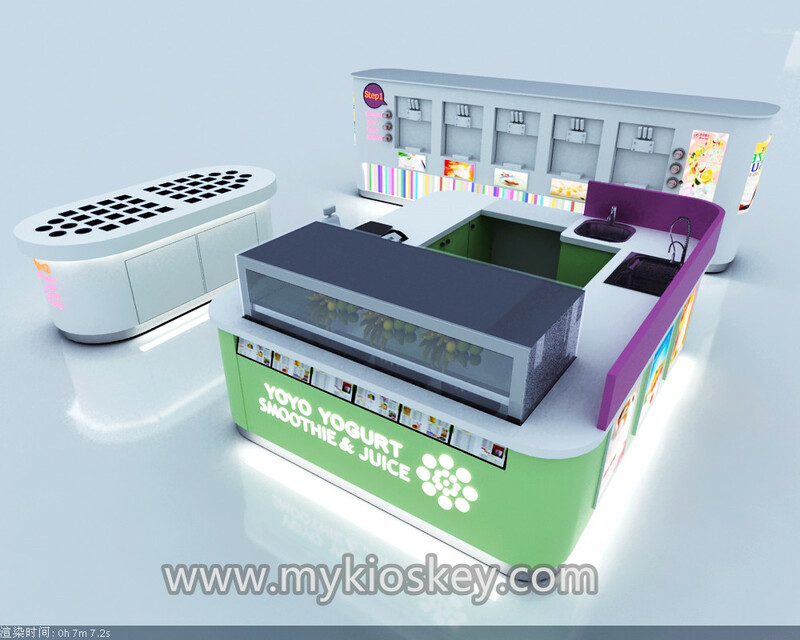 How to build a yogurt shop like this ? At first , u need contact and share your ideas to us . such as your shop size , your like color , your logo etc , then we can help you make a new unique design and put all of your ideas on it . you can submit the design for get the mall approve . 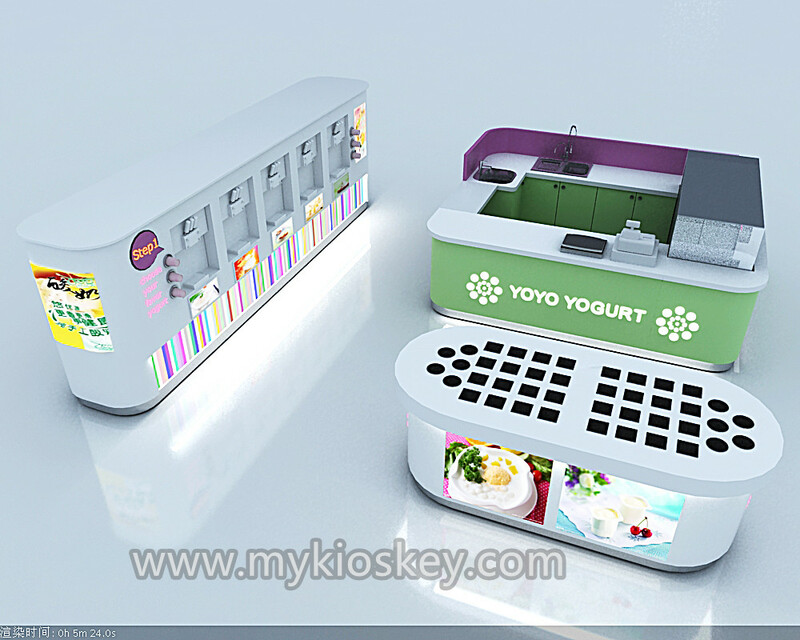 if the mall manager have any question for the design , we can help you modify it . after get mall approve , we can work on the kiosk construction plan and start production this kiosk, usually build it about need 20 work days , We will take photos and update the progress during production . when we finished , we will assemble it and take photo or video for your check, then we will package and arrange shipment it to your port . 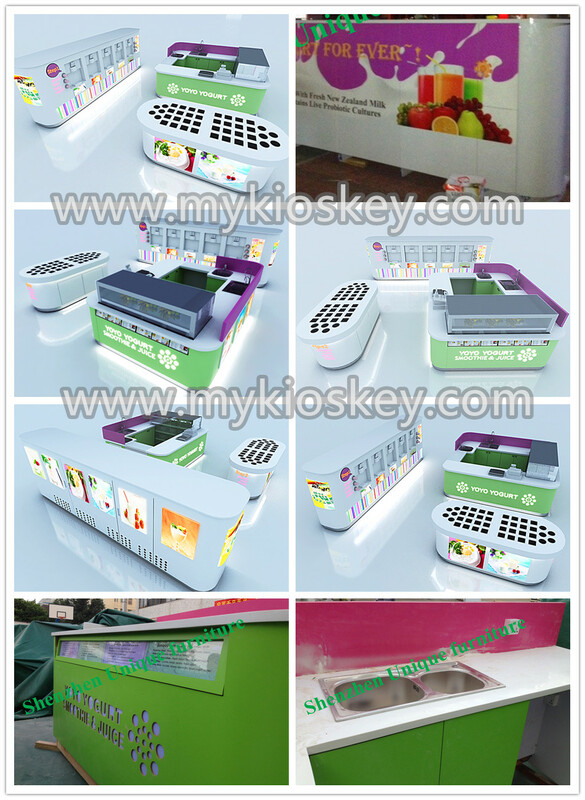 if you need , we also can direct send this kiosk to your address . Assemble this kiosk is very easy and fast . It can be assembled quickly even without any experience . before we production this kiosk . make construction plan . you can see this kiosk will be cut to some reasonable part . put an ordinal on it , like 1, 2 , 3 , 4 …. when you received the kiosk . you just need put each part together and connect the wire is ok . Thanks for your time and reading . if you need more further info about this yogurt shop . pls feel free to contact us , thank you !